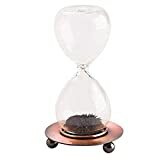 Falling grains of sand make a big pile of sand, but the falling iron filings and embedded magnet in the wooden base of this cool new Magnetic Hourglass make a fascinating ever-changing pile of artistic patterns. 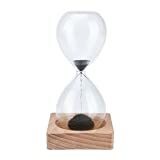 The fun doesn't last an hour in this hourglass, but when flipped it does alleviate boredom at the office for 60 seconds. 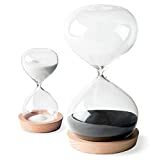 Check out this video for a demo.